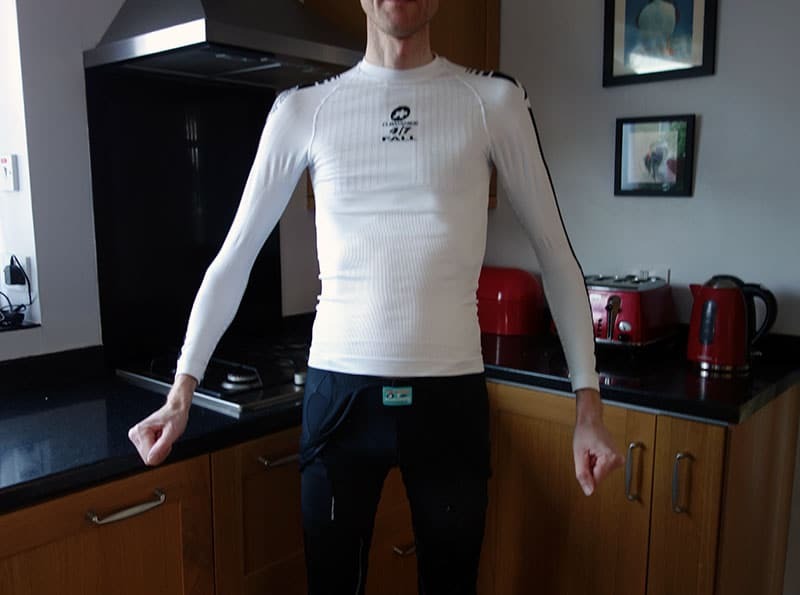 They say it is important to get the right fit because if it doesn’t fit close to skin it doesn’t work as it should. Next to the skin it is very comfortable. Super soft. I never thought I would get excited at wearing a base layer, but this really is something. 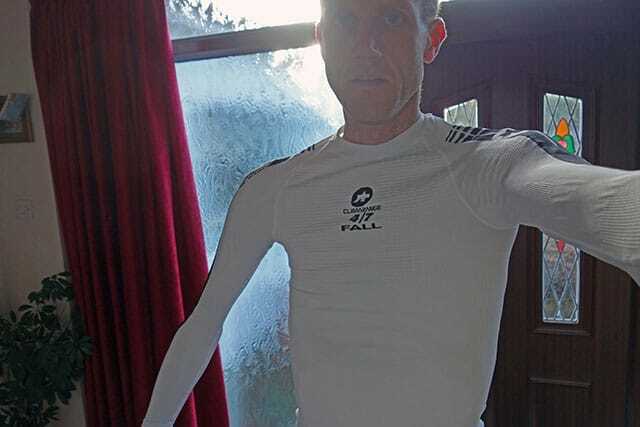 When you put the base layer on, you can almost feel it has central heating. It feels very snug and warm. When I was riding yesterday (2 degrees) I did use other thermal layers between jacket, but it felt like this base layer was a very good start – I never felt the biting wind or a layer of cold sweat. I wore it on Saturday for a fairly steady two hours. On Sunday I picked it up and it felt dry with no smell of sweat, so I wore it again. On Sunday I did two hours at a faster tempo and worked up more of an effort. You could say it was lower sweet spot, but even then it was little in the way of sweat being a problem. I wore it when the weather was milder and it was very effective in allowing the sweat to escape. giving maximum performance, breathability and intelligent protection. As much as I don’t like product gumf, it does seem to be a product which actually lives up to the high claims. This is just annoying. At least no one can see it. It’s a shame because from the front it looks quite a classy garment. I was able to pick up at 40% off. Still it felt a little extravagant for a mere base layer. But, fortunately or unfortunately, it is worth it. I wouldn’t worry about buying the full clima range. The fall is as thick as you need really. If it is really cold, just use more layers, rather than feeling need for separate base layers. Overall I do really like it. It’s quite a significant marginal encouragement to go out in cold, biting winds or damp dreary conditions. It is expensive, but I feel that over the years, I will get good value from it. As for the sizing, what is your chest size?